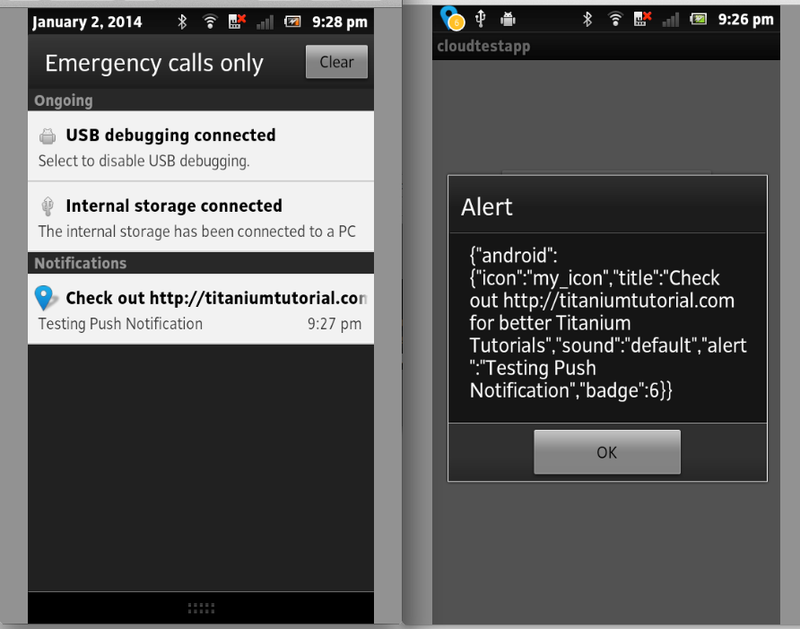 Titanium CloudPush module supports two protocols for send push notifications to Android devices. From Ti SDK 3.1.2 onwards, GCM is the default method to send push notifications. GCM supports devices that run Android 2.2 and later, and requires that the Google Play Store application be installed. For pre-4.0 devices, the user is required to set up their Google account. If you have an existing application that uses the MQTT protocol, you either need to transition your application to use GCM or set the acs-push-type key in the tiapp.xml file to mqtt. This will be explain in detail at end of this tutorial. It is lightweight messaging protocol, designed for constrained devices and low-bandwidth, high-latency or unreliable networks. It consumes less battery. MQTT does not have any specific device requirements. Here I am going to explain ACS Push Notification using GCM and migrating existing MQTT protocol application to GCM. Following information taken from here. 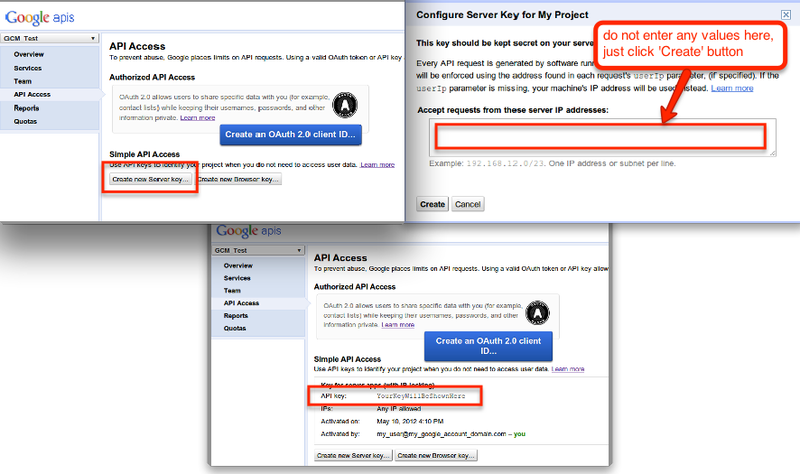 To use GCM, you need to create a Google API project to obtain a Google API key and GCM sender ID. 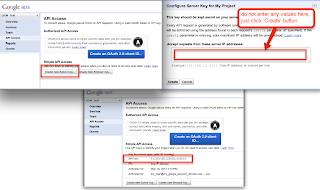 For instructions on creating and obtaining these items, see Android Developer: Getting Started with GCM and follow the directions in "Creating a Google API Project", "Enabling the GCM Service" and "Obtaining an API Key". When creating a new server key, you are asked for a list of IP addresses to accept requests from. Do not enter any information in the textbox and click Create to accept all IP addresses. Now you will have Google Cloud Messaging (GCM) API Key and GCM sender ID. We are going to used these two values in Step 2. For detailed instructions, see the "Push Notification" section of ACS: Android SDK. Note: If you are using MQTT, just enter application package alone. Add CloudPush module into your application. To use push notifications, in the tiapp.xml file, you need to specify push type (either gcm or mqtt). Call the retrieveDeviceToken method before setting the enabled property to true to enable the device to receive push notifications. You must call retrieveDeviceToken before any other CloudPush API call or else the device will not receive push notifications. So below code must be top of any other CloudPush API call. Cool.., You have completed Android Push Notification setup(Here is the whole sample app). This is time for testing, run the application in android device and click the button "Android Cloud Push Notification". You will get 3 alerts continuously. 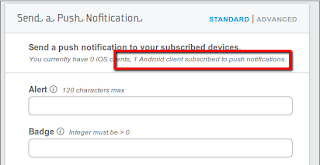 Then go to My Apps -> Manage ACS -> DEVELOPMENT -> Push Notifications, here you can see "1 Android clients subscribed to push notifications"
How to customize ACS Push notification? Here you can use use your custom sounds and icons. AppC strongly recommend you to use and migrate to GCM. java.lang.ExceptionInInitializerError at com.appcelerator.cloud.push.CCPushService.registerGCMServiceBackground(CCPushService.java:482) - If you encountered this error in Android 2.3, you have to use ti.cloudpush 2.3.3. You can download here. I have the same problem. How can i fix? Did all the configuration as above. ti.cloudpush updated to 2.3.3. Still gives error : ERROR = INVALID_SENDER. Is there anything we need to add to android manifest? Plz help. also the log contains this. GCM RegistrationId not found. Need to make request to generate. Not sure what I am missing here. Plz Help. Thanks for this all information i try this way and it working for me via development. In part of Development it work but not able to send notification in Production part.How to send that all notification via Production ? Thanks for such a wonderful tutorial. But what if i want to send notification through my portal can i still approach the above procedure if yes can anyone pls guide me how to do that?? I have problem to get this working. App successfully log in and subscribe notifications channel but It doesn't receive any message. "No sending logs found for this push notification. Push notification logs of requests will be visible here when push notifications are sent to subscribers of this app." First thank you very much about this! I have the users registered and suscribed correctly, but when I send a notification via ACS or using notify(), the notification does not arrive. If anyone can helps... thank you very much! Try to create the key using "server key" instead "android key". It worked for me! has anyone faced this problem before? I need to send a push to device, but without any kind of alert, notifications or sound. That way I can give an order to the App, and the user never knows about it. Any one knows how to do something like this? I had the same issue. Try deleting your app, then run it again. I had all the correct keys and configuration, yet ran into the same error. "At Google Apis console I used the "Key for Android apps" not the server key "
i found it but still doesn't receive any message. I just released a Push Notification module for Android and iOS, with direct connection to APN (Apple) and GCM (Google), without to require ACS, UrbanAirship or any push broker contract or fee; Receive unlimited free push notifications in your apps..
3 days of bashing my head against the wall and this did it! Now to find my sanity and will to continue.. Custom Sound is not working. I tried both bells8 and bells8.wav and i am using the latest version of cloudpush. Please, help! !